Annette Stube is Director of Group Sustainability for A.P. Moller – Maersk, a global conglomerate with businesses within the transportation, energy, and retail sectors, employing 115,000 people in 130 countries. In 2008, Stube established a new CSR unit at the group headquarters in Copenhagen, which in 2009 became Group Sustainability and expanded to include environment, climate, health and safety, and social responsibility. Stube serves on the Danish Council for Corporate Social Responsibility, which advises the Danish government on CSR. Previously, Stube was Director for Global Business Ethics Development at Novo Nordisk and led its Business Ethics/Anti-corruption and Responsible Sourcing programs. 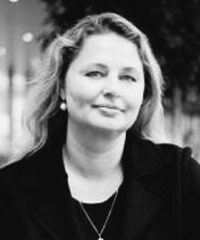 She joined Novo Nordisk in 1997 and was part of the team that developed the triple bottom line approach to corporate responsibility in 1998.